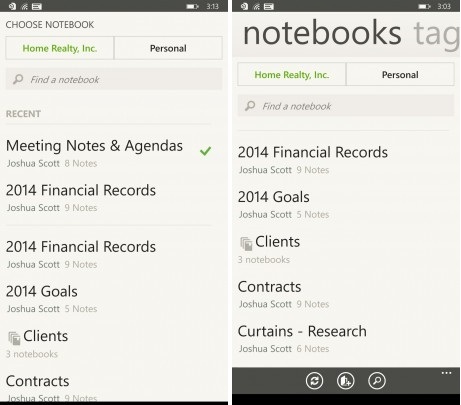 Evernote has updated its Windows Phone app today to include support for a range of new features including the ability to easily switch between personal and work accounts at the press of a button. As well as making it easier to find documents and notes between your different accounts, the update means that the owner of each notebook is shown beneath the name, which can help if you have a lot of shared notebooks with similar titles. Other tweaks include now showing the most recently accessed notebooks at the top of your notebook list and the option to sort notebooks alphabetically by name.